The HTTP post from Infusionsoft goal is only available for use in &apos;new&apos; campaigns, for MOBIT users that are integrated with Infusionsoft. In this article, you will learn about the HTTP post from Infusionsoft goal, how it can be used, and how to set it up. The HTTP post goal from Infusionsoft goal is achieved by contacts from within an Infusionsoft campaign when they reach the point in your campaign sequence that triggers an HTTP post. Just like any other goal, when achieved, contact&apos;s will trigger any actions and be entered into any timers that have been added off your HTTP post from Infusionsoft goal. 2 - Select HTTP post from Infusionsoft in the drop-down list of goals. 5 - Click the button in right corner of your HTTP post from Infusionsoft goal and select HTTP post information. Copy the URL to your clipboard. 6 - Select whether or not you would like to get a contacts latest information from Infusionsoft. 1 - Select &apos;Campaign Builder&apos; from your Infusionsoft main navigation menu. 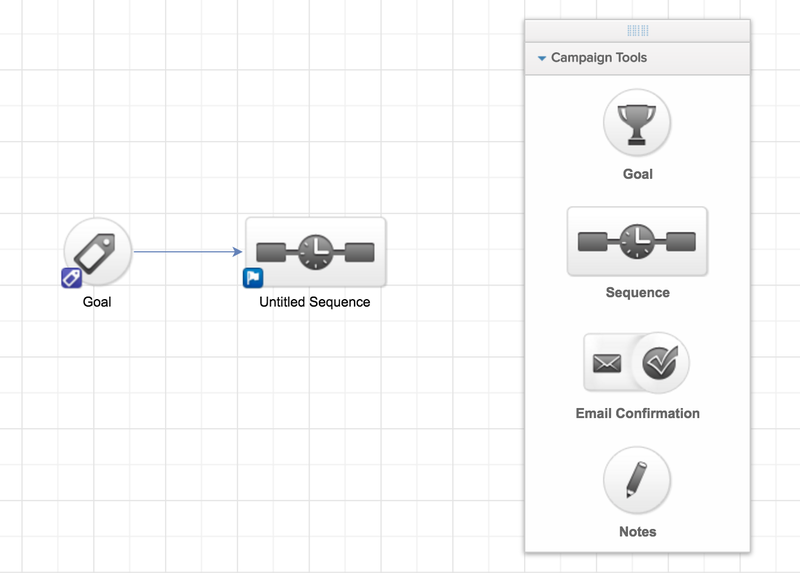 2 - Click on the green &apos;Create a Campaign&apos; button or choose from one of your existing Infusionsoft campaigns. 3 - Drag a goal onto your canvas. Once configured, drag a sequence onto your canvas and connect this to your goal. 4 - Double click on your sequence. From your tool bar, expand the processes section and scroll to the bottom until you find &apos;Send HTTP Post&apos;. Drag this onto the canvas, adding it to the relevant part of your sequence. 5 - Double click on your HTTP post. Paste the URL you copied to your clipboard in step 5 of MOBIT set up instruction into the &apos;POST URL&apos; field. IMPORTANT: Name / Value Pairs must be left blank.